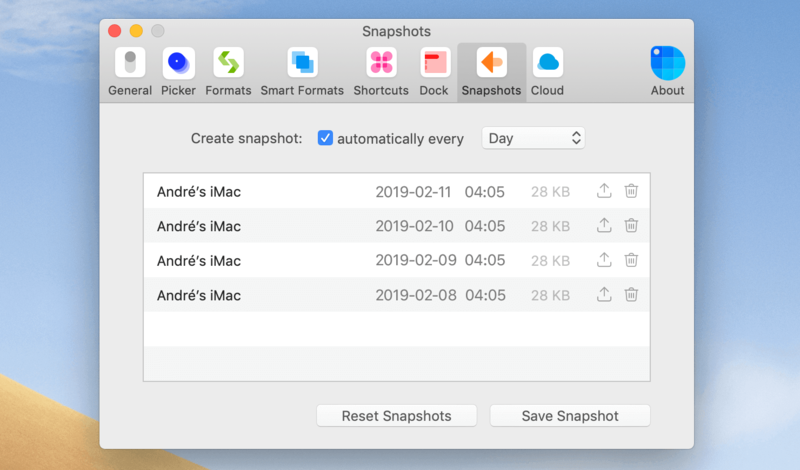 With Snapshots, you can go back to a specific date and time, and restore any information you accidentally deleted or edited. Hover the top right icon to reveal actions. To customize it, go to Preferences > Snapshots and choose when you want Sip to create a snapshot for you. In time, Sip will create a list of snapshots in the interval you defined above. This snapshots can then be accessed in Preferences > Snapshots whenever you need. Apart from having this automatically defined, you can also create a snapshot at a specific time by selecting the Save Snapshot option on the bottom Right.